Preheat oven to 180ºC. Line a large baking tray with greaseproof/ baking parchment. In a large bowl, combine all the ingredients except for the figs. Mix everything together until the oat and nuts are completely coated with the honey and tahini. 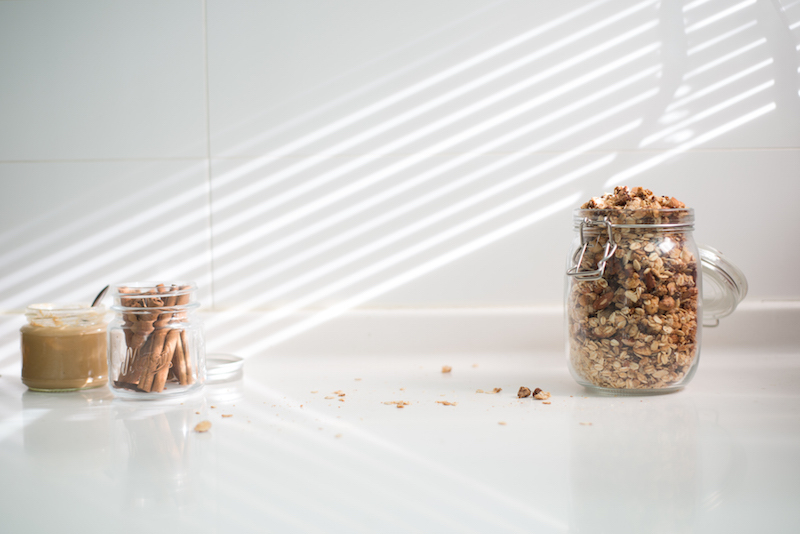 Spread the granola on a single layer onto the prepared tray. Drizzle with the extra honey and tahini. Bake for 10 minutes or until golden. Stir the mixture to make sure it is evenly baked. Bake for an extra 4 to 6 minutes until golden. Add the chopped figs. Leave to cool completely before transfering to an airtight jar. It will keep for a couple of weeks and is great served with milk at breakfast or as a topping with yogurt.